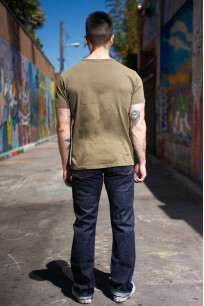 A classic cut modeled after what the original 501 was like in 1947. 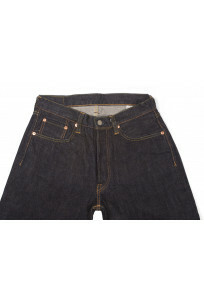 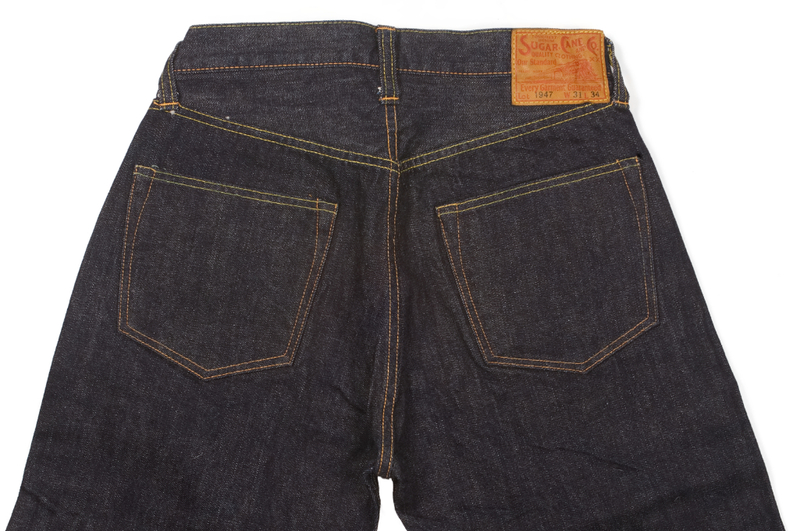 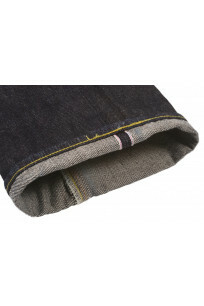 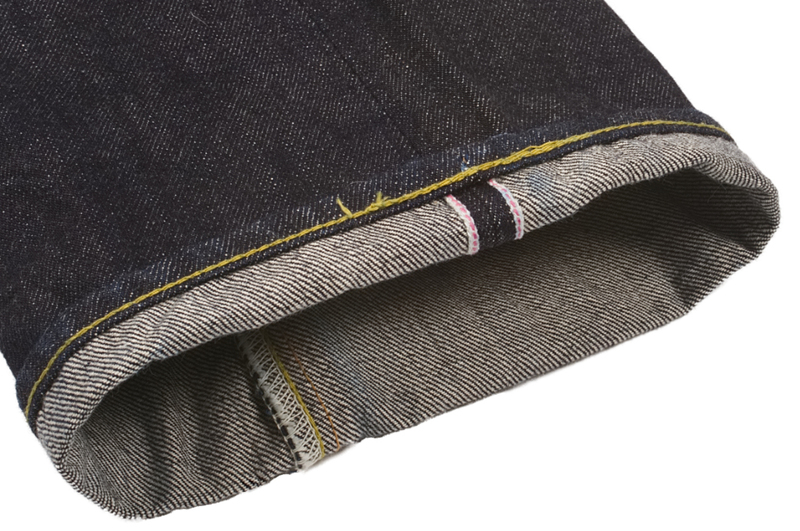 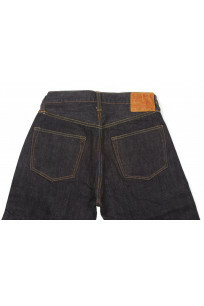 An amazing and timeless style; this cut stays true to the original from the rivets to the Custom manufacturing of the correct, heavy 14-ounce, double ring-spun selvedge denim produced on the original narrow shuttle looms employed back in the 1930"s, including a color and weave matching to the shade of blue utilized in the manufacture of the original 1947 dungarees with red-line selvage edge. 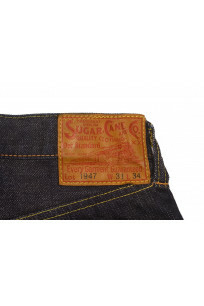 The 1947 cut from Sugar Cane tends to run a bit smaller than the rest of the jeans we sell, we recommend sizing up one or two sizes. 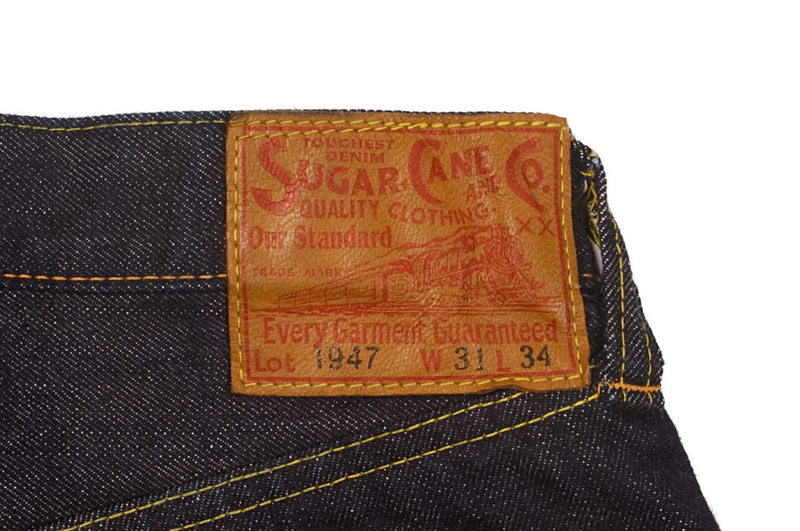 Please use our size chart for exact measurements for every tagged size. 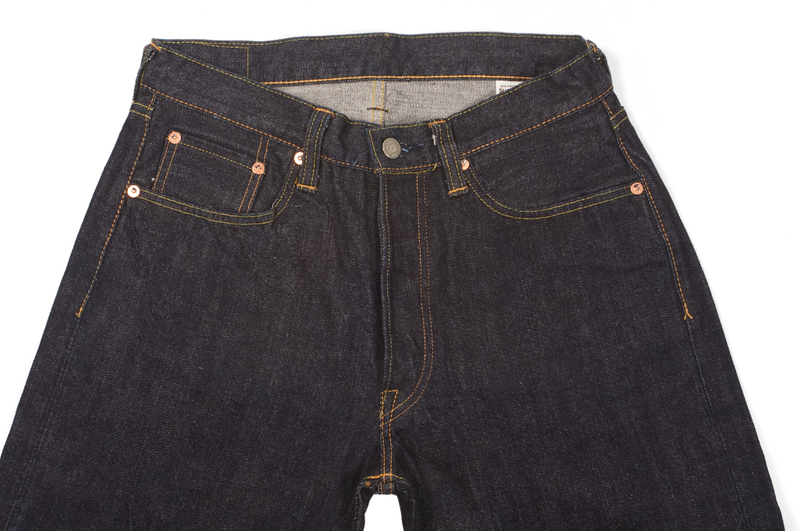 Waist 28" 29" 30" 31" 32.5" 33" 34" 35.5" 37.5"
Inseam 31" 31" 33" 33" 33" 33" 33" 33" 34"
Thigh 10.75" 11.2" 11.7" 12" 12.25" 12.6" 12.8" 13.3" 14"
Knee 8.5" 8.75" 9.25" 9.4" 9.5" 9.8" 9.9" 10.4" 11"
Leg Opening 8.1" 8.5" 8.75" 8.9" 9.2" 9.3" 9.4" 9.7" 10.25"
Front Rise 10.4" 10.75" 11.1" 11.5" 11.6" 12.1" 12.5" 12.8" 13.25"
Back Rise 15" 15.5" 16" 16.25" 16.4" 16.8" 17.2" 17.8" 18.5"